You can choose a tool that uses collated staples on a stick or a carton closer that uses roll format staples. Big advantage of roll format staples is that there are much more staples on a roll (coil). This means you will need fewer reloads. However, these roll format tools are heavier. To spare the oparator, it is recommended to specify these type of carton closers with suspension wire. 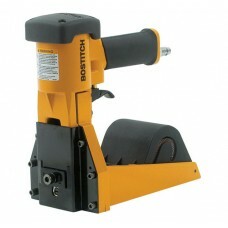 The Stanley Bostitch pneumatic box stapler D62ADC is built for larger volumes and aplications where .. 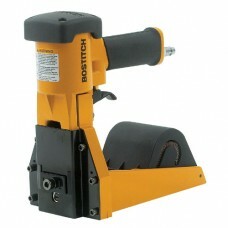 The Stanley Bostitch pneumatic carton closing stapler DS-3219 is used for stapling the tops of singl.. 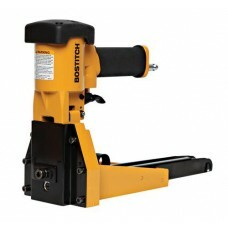 This Stanley Bostitch pneumatic carton closing stapler DS3519 is used for stapling the tops of singl.. 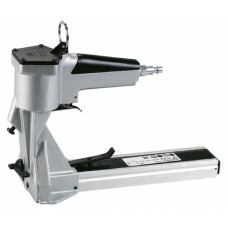 The RAB19 by Stanley Bostitch is a pneumatic carton closing stapler and uses staples collated on rol.. 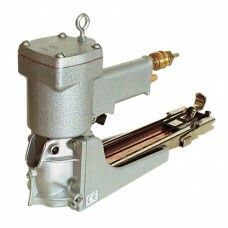 This pneumatic carton closing tool uses especially shaped staples for closing single or double wall ..